I'm just curious to know what the status is of adding distributed multi display capability? I have access to a Liquid Galaxy configuration, which is just a ring of monitors each driven by 1 PC. Space Engine would be a very interesting addition. Hello mbenson, welcome to the forum! Take a moment to read the Forum Rules. I just read it. I hope that my post didn't violate a rule. I don't think it did. I hope that my post didn't violate a rule. You didn't. Every mod will say that to new members. Yeah. We welcome every new user and just remind them to read the rules just so they won't miss them. Your post didn't violate any rules. I read the forums some more. Am I correct in assuming that Space Engine already supports domes and curved surfaces? It can render to a super sized field and then the warping software does the rest. Correct? Yes just set FOV to whatever field of view your computer screen is for you. I think default max is 120degrees but that can be changed. I've got a projection sphere prototype arriving in 3 weeks so I thought I'd revisit this thread. I'll take some pics and some video of it with SpaceEngine. I've not reviewed the camera render optiosn lately but I seem to remember there were two options for dome. The current dome projection options within Space Engine are not really compatible with current consumer multi-projector setups. At issue is neither cube map nor fisheye accommodate AMD Eyefinity or NVIDIA Surround configurations. What needs to be done to allow for standard hardware to be used is a equirectangular camera mode. For the consumer 3x1 projection is affordable, but 5x1 or the lens required for fisheye is not. Those that want to use Space Engine with their projector setups and dome are not accommodated without a equirectangular camera option. Fisheye has limited appeal because you would use Paul Bourke's mirror method with only a single projector. That's not high resolution. On the opposite end of that is the cubemap which requires too many projectors. Equirectangular projection however can be accommodated with three projectors, which is ideal for NVIDIA Surround or AMD Eyefinity. 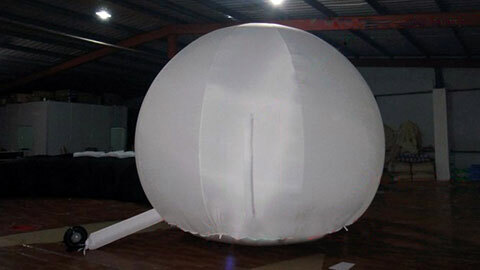 Here is my dome. Is it computationally difficult todo a 360/135 degree equirectangular camera option? BHawthorne, you already created a thread on the subject of projectors here. How does having a thread here give suggestions and input for Space Engine? This is jsut general subforum? If anything, it makes more sense to move this thread to the other subforum instead of merging that post here. It being in general subforums means it will not get taken serious as a feature request Posting in the general subfprum is most likely a waste of my time because noone will read it.. It being in general subforums means it will not get taken serious as a feature request Posting in the general subfprum is most likely a waste of my time because noone will read it.. If we have too many threads (which we already do) no one will find anything anyway. I figured it would be better to have the projector stuff in one thread, and if necessary then the thread itself could be moved or renamed to fit its content (which it has now). THanks for the thread move. BHawthorne, the thing you want is not computationally expensive, but hard to code, because it required multi GPU and multi monitor support. The main problem is that I have no such hardware, so debugging will be extremely difficult. When SE start to give me some profit, I will buy many hardware required for further improving of SE capabilities, such as multi GPU, projectors, 3D vision, etc. Thanks for the reply. I understand. It's a very niche feature request. My interest in it mostly stems from the coolness factor though. It would be a very visually impressive way to show off Space Engine. A month ago, I just bought multi-projector screens to monitor my business locations. But sometimes I'd find it too difficult configure all the screens properly. I used to ask my projector related queries to movie screen hire dealer and he always assists me at best to rectify.